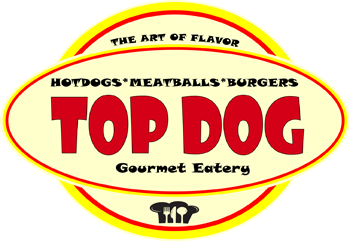 Top Dog is incredibly proud of all our signature dishes! Our flavors are enhanced with all natural ingredients, many sourced locally. We over America’s favorite food in a casual, fun atmosphere perfect for every occasion. From day one, we’ve worked to source the best local, all-natural ingredients in South Florida. We're especially passionate about the quality of meat used in our meatballs. Due to the fact that we use ground meat, we use the extra trim that normally gets wasted in the butchery process. This process creates much less waste and great tasting balls! We're truly a nose to tail operation and we’re doing all we can to make a positive impact on our environment. Our famous Chicago Style Hot Dogs use the Vienna Beef Company for their 125 years of experience, to make the best sausages ever, the old-fashioned way. Premium domestic beef, combined with an original recipe, and hickory-smoke for authentic flavor, will give you a meal to meet the highest of quality standards. We strive to deliver the most flavorful of AMERICA’S FAVORITE COMFORT FOODS when and where you crave flavor and quality at your fingertips!